Earlier this year, Volkswagen unveiled a Polo concept known as the Polo R WRC Street Concept at the annual GTI meeting in Worthersee, Austria. The production version is now ready and as initially confirmed; the car will go on display at the upcoming 2013 Geneva Motor Show. Volkswagen has released images of the car which is now known as the Polo R WRC and the car will be produced in limited numbers and it is considered to be the road version of the Polo R that will participate in the World Rally championships. The final product was heavily inspired by the concept shown at the GTI meeting. The Polo R WRC looks more aggressive and beefier than the Polo GTI, all thanks to the reshaped bumpers and wider stance. 18 inch rally inspired wheels are fitted on all four corners of the car. At the rear, the car receives a trunk mounted spoilers and dual chrome exhausts tips. The Polo R WRC is available only in white with grey and blue stickers placed on the front hood and at the side of the car. In the interior department, the front seats are fitted with bucket seats and the seats are wrapped in a mix of leather and alcantara. A three spoke steering wheel and aluminium pedals complete the racing look. 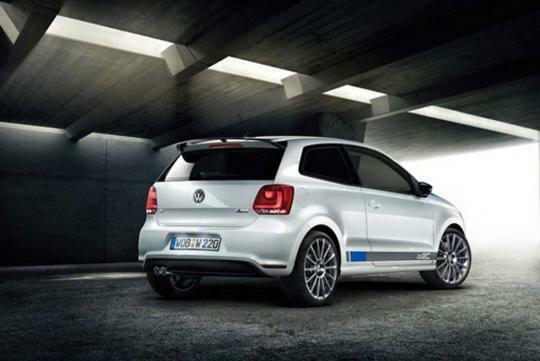 The Polo R WRC is the most powerful street legal Polo that the company has ever built. 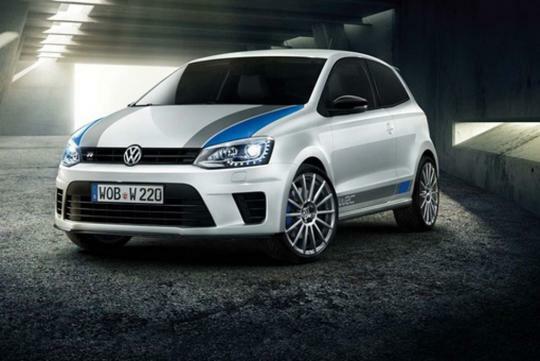 The car is fitted with a 2.0 litre turbocharged engine and it is the same unit from the Golf GTI. The engine makes around 220bhp and with a torque of 350Nm. The car completes the century sprint in 6.4 seconds and has a top speed of 240km/h. As mentioned above, the Polo R WRC will be built in limited numbers and Volkswagen will built only 2,500 units of it.